These Roasted Carrots with Pistachio Orange butter will make any vegetable naysayer a convert. 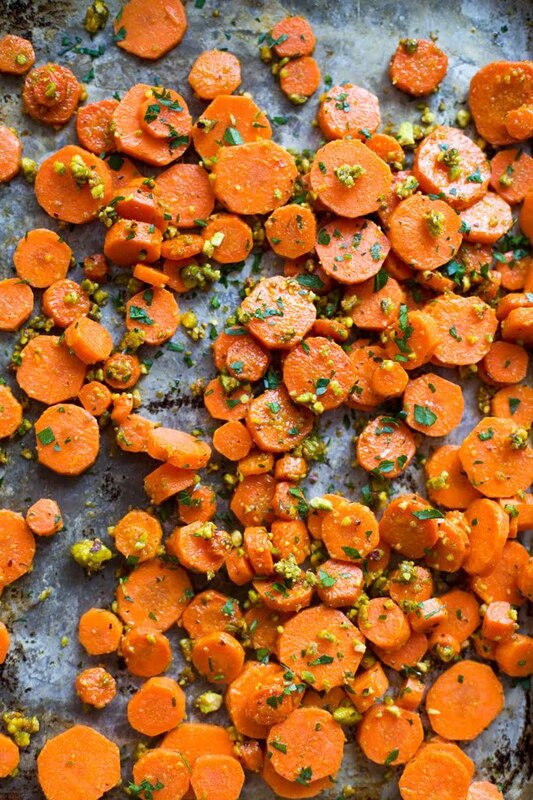 Sweet coin-shaped carrots are roasted with coconut oil, and then tossed with a super easy pistachio and orange compound butter you’ll want to slather on everything. 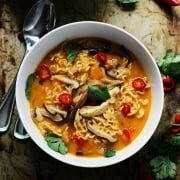 Despite the absence of stand-alone veggie recipes on this website, my everyday diet depicts the opposite. 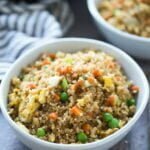 I do my best to have some sort of vegetable at every single meal, even if it means just half-assing it with some simply roasted asparagus or steamed broccoli, which actually might explain why the archives lack a deep vegetable section as most of the “recipes” I make regularly just aren’t worthy of sharing. Such is not the case with these Roasted Carrots with Pistachio Orange Butter, which are not only blog-worthy, but stunningly beautiful and require barely any hands-on preparation. 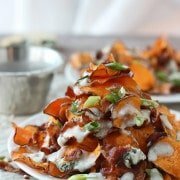 I’m a sucker for compound butters for their ease, versatility and their ability to infuse a ridiculous amount of flavor in to just about anything. 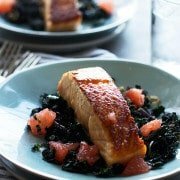 The ways in which I use them are endless: I slather them on fish filets before broiling, put a dab on steaks after they’ve been seared, spread fruit-laced variations on English muffins, and use a thousand other versions to make all of my roast chickens. This particular compound butter isn’t one I’ve tried before, but after tasting the way it transformed ordinary roasted carrots into something extraordinary, I’m bound and determined to find a thousand other ways to use it, just so I have an excuse to eat it again. 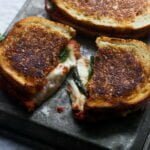 Even my pickiest eater, my husband (not my one-year-old son), loved them, which is a true testament to how good they are, since he’s basically a child when it comes to any vegetables. The recipe process barely requires an explanation since all you have to do is throw in a handful of roasted pistachios into a food processor along with some orange zest, orange juice, vanilla, and of course, softened butter. The only thing you have to watch out for is to avoid over-processing the nuts before adding the other ingredients, otherwise, you could quickly go from compound butter to a full-on pistachio butter you can spread on toast – just a couple pulses should do the trick. 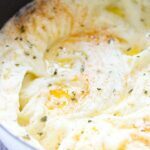 The butter gets seasoned with a touch of salt and pepper to taste, tossed in the hot roasted carrots and served with whatever you’ve got going on for dinner, although I’d suggest serving them with this, this or this. Toss carrots with coconut oil and ¼ tsp salt. Spread on a large, rimmed baking sheet. Roast in the oven for 15-20 minutes or until the carrots are softened, but still have a slight bite. 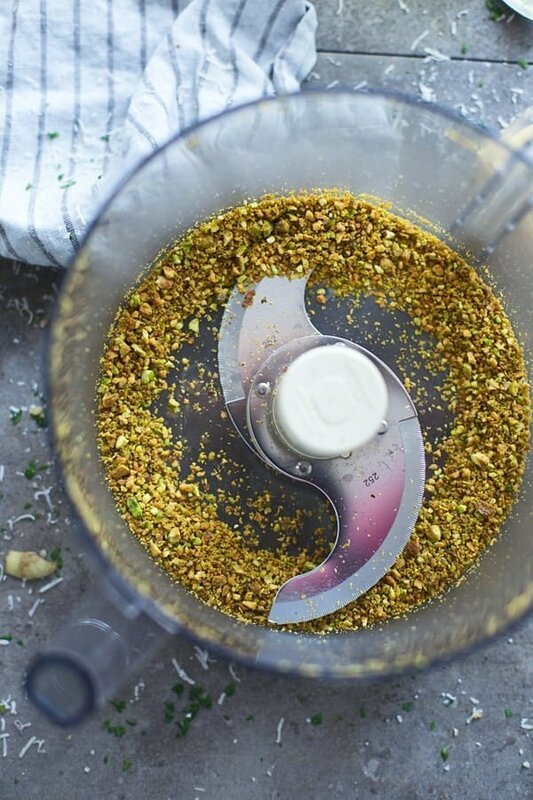 While the carrots cook, add pistachios to the food processor. Pulse 3-4 times until the pistachios are crushed. Be sure to not over-process them in to butter. Add butter, orange zest, orange juice, vanilla extract and remaining salt. Pulse until combined. 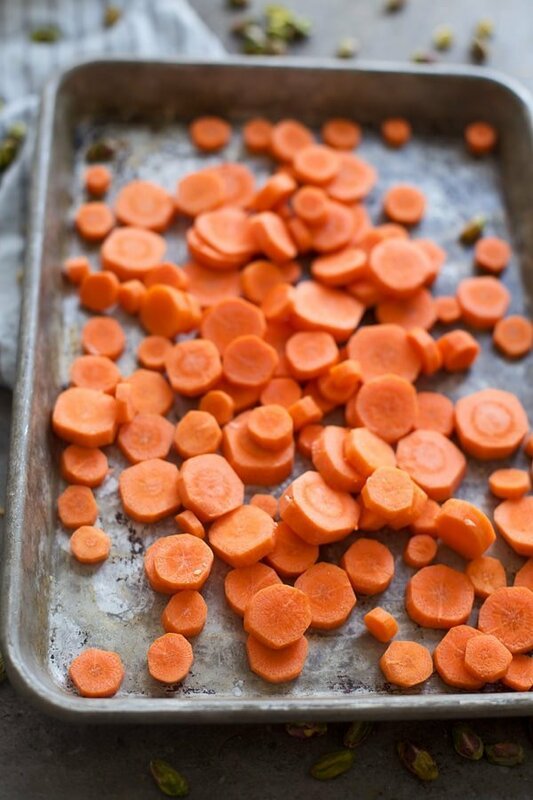 When carrots come out of the oven, toss with butter. Season to taste with salt and pepper. 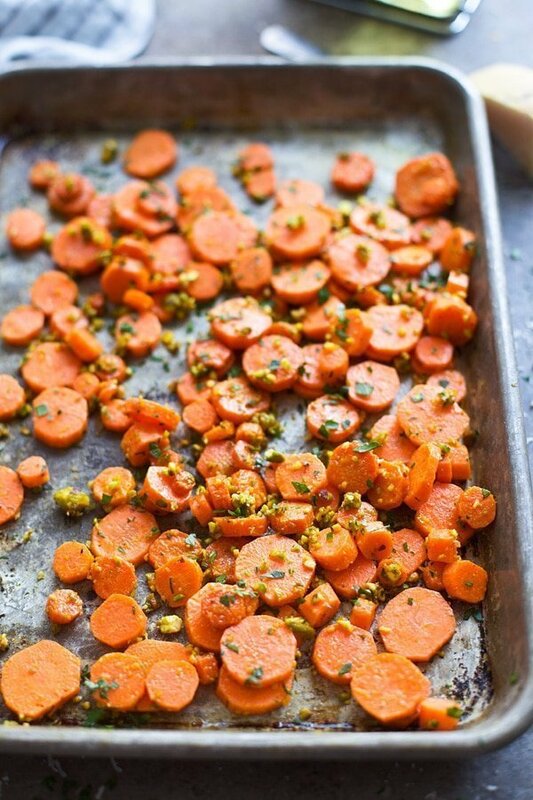 5 Responses to "Roasted Carrots with Pistachio Orange Butter"
I’m a late convert to pistachios, but I’ve got some carrots in my fridge begging to be used for this recipe! This was very good, and a great change of pace for carrots. The green of the pistachios nd the orange carrots looked lovely. I used Earth Balance instead of butter as my son doesn’t eat lactose. Also, my oven is very slow, so I cooked it at a higher temperature, and for longer (400 for 30 minutes), and this was just right for us. Thanks for a great recipe. So glad you liked them Vivian!